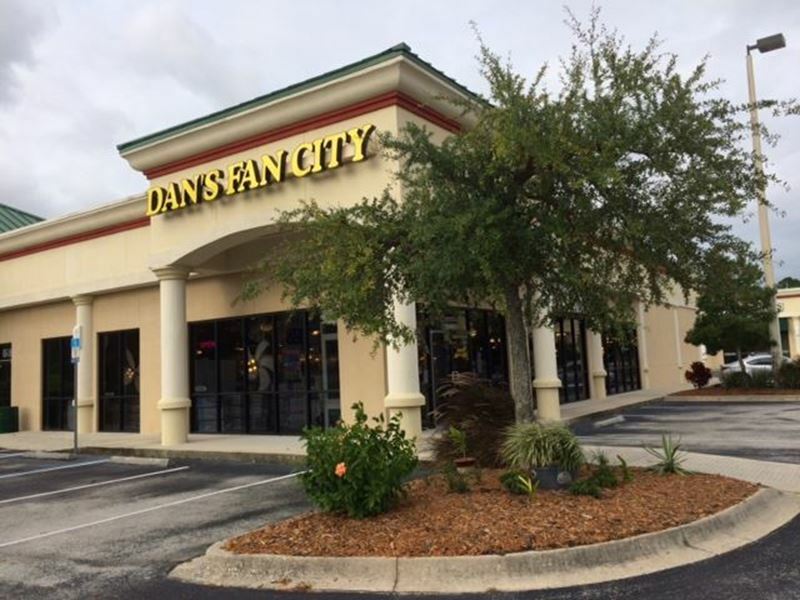 The Dan’s Fan City ceiling fan store in Jacksonville, FL is located at 9365 Philips Highway in Jacksonville, FL. This ceiling fan store in Jacksonville has an impressive inventory of ceiling fan models and designs for your home or business. Some of our most popular types include indoor and outdoor ceiling fans, as well as ceiling fans with lights. Visiting one of our physical store locations near you is a great way to see our ceiling fan inventory in person and determine which size, shape, and color is the right fit for your home or business. Another advantage of visiting this this Jacksonville store is having a Dan’s Fan City team member there to help you consider the pros and cons of a model and find the perfect fan for you. If you are unable to find the ceiling fan you are looking for in the store, our custom design your fan builder could be the best way for you to build the perfect fan. With this online tool, you can design your custom fan by combining different parts and finishes. When you’re done creating the perfect custom ceiling fan, you can have it shipped directly to your home, or to the fan store near you in Jacksonville for pick-up later. Feel free to start browsing our collection of online ceiling fans today in preparation for your visit. We recently had our Jacksonville, FL store photographed for Google+ and Streetview. Have a look around one of our typical store locations.